Cardinal Daniel N. DiNardo said the allegations against his former colleague reveal a “grievous moral failure” and urged anyone who has experienced sexual abuse at the hands of the church to come forward. DiNardo reminded bishops in the United States to take those reports seriously and contact the police when required. “Both the abuses themselves, and the fact that they have remained undisclosed for decades, have caused great harm to people’s lives and represent grave moral failures of judgment on the part of church leaders,” he said in a statement. “One way or another, we are determined to find the truth in this matter,” said DiNardo, who is also the archbishop of Galveston-Houston, in Texas. 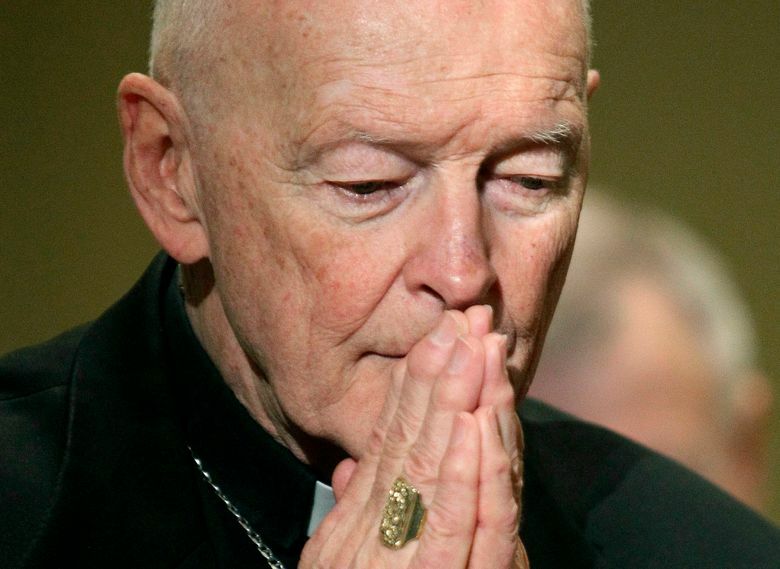 In an open letter Tuesday, a contributor to the conservative Catholic magazine First Things urged Catholics to withhold donations to the U.S. church until an independent investigation determines which U.S. bishops knew about McCarrick’s misdeeds — a “nuclear option” aimed at making church members’ sense of betrayal heard. 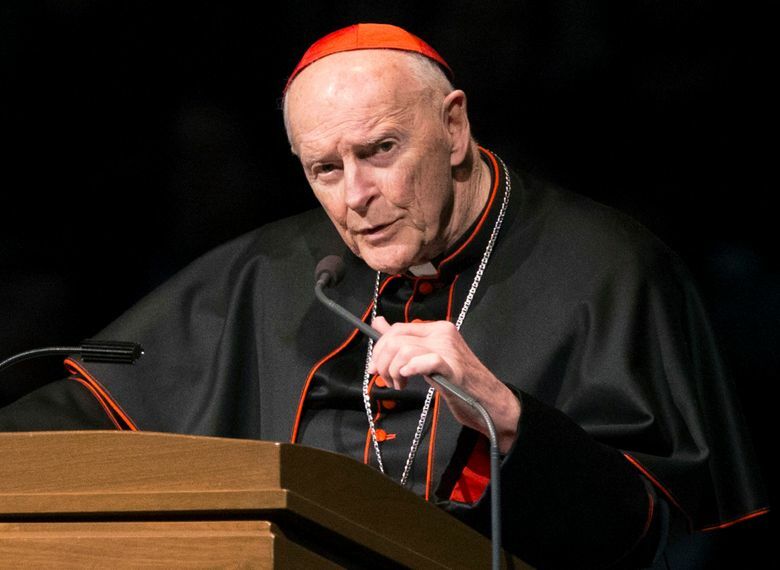 McCarrick, the Washington archbishop from 2000 to 2006, was previously one of the highest, most visible Catholic Church officials in the United States and was heavily involved in the church’s yearslong response to allegations of priest abuse. The former altar boy alleged that McCarrick, then a priest, fondled him during preparations for Christmas Mass at St. Patrick’s Cathedral in 1971 and 1972. 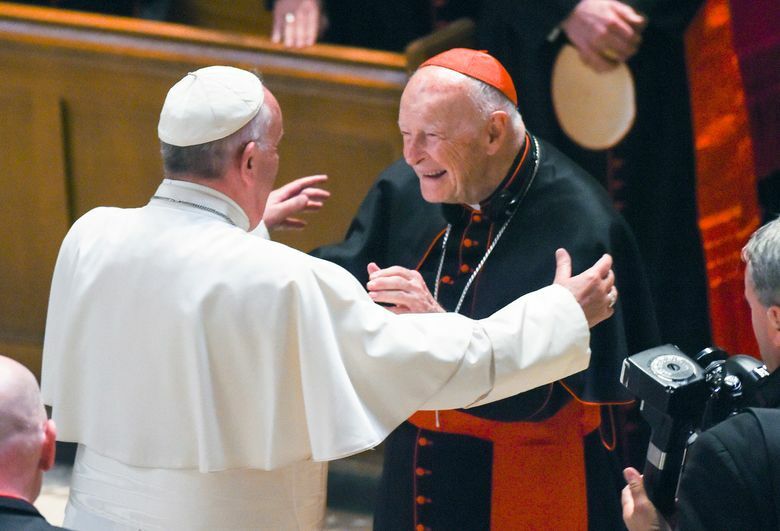 Pope Francis then accepted McCarrick’s resignation on July 28, effectively stripping him of his cardinal’s title, and ordered him to live a lifetime of penance and prayer pending the outcome of a canonical trial.